Life Online - Don’t Forget Slyvia! After another gruelling day of dealing with kids, mentally and physically fatigued I trudged to the sofa for a welcome rest. Just as I sat down my three year old who was also there emitted a bloodcurdling scream. Imagining the worst I jumped up screaming "What’s wrong!?!". "Mummy, you sat on Slyvia!" she replied calmly. Rest forgotten and hand on heart trying to soothe my nerves, I groaned inwardly. Slyvia, is not the household cat or hamster, she is neither my daughter’s stuffed doll or animal, she is in fact her new imaginary friend. This week my three year old has got an imaginary friend. I can’t sit on a chair or suddenly turn a corner with encountering a sullen look from her, for I have unbeknown to me either stepped on, ignored or sat on someone’s imaginary best buddy. I wonder is this normal?, should I be worried about the sudden arrival of these numerous imaginary beings. According to several experts imaginary friends are in fact a good thing for children to have, they are apparently a healthy existence in a child’s life. Through interaction with their imaginary partners, children are able to exercise their vocal skills thus becoming more articulate in their speech and gain confidence and self esteem. 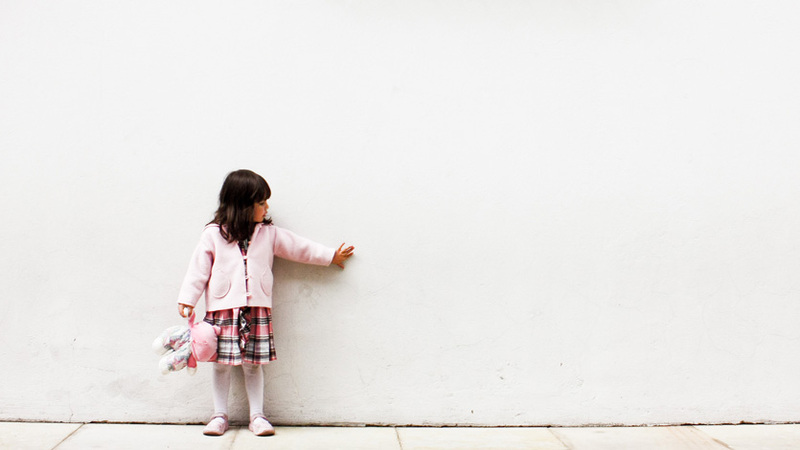 Why do children have imaginary friends? Children usually develop imaginary friends due to loneliness. Their overactive imagination craves for an audience and thus unable to find that in friends or family, they invent characters of their own. These characters do not judge, criticize or admonish and thus are the perfect listening partners. How to live with your child’s imaginary friend? 1. I’m The Boss: Imaginary friends allow your child to take control. They have the authority to tell their invisible friends what to do. In their imaginary friend’s company your child is always the prettiest, fastest or tallest and is always the winner of the pair. 2. Banish The Boredom: Children with imaginary friends are able to keep themselves busy. Being bored does not mean whinning to mum and dad for some inspirational ideas. You children are happily occupied and you can make best of the quiet time. 3. Voice Concern: Sometimes children use their imaginary friends as a way of expressing their feelings. For example “Slyvia (imaginary friend) does not like it when you shout, Mummy”. In this way your children become more expressive about their own feelings. 4. Baby Takeover: Usually older siblings tend to conjure up imaginary friends when a new baby arrives on the scene. This is because they feel with the arrival of the new baby, they have lost their parental attention and thus seek comfort elsewhere. It is important to be aware of this and give due attention when necessary. 5. Parental Advantage: Sometimes you can use your child’s invisible friends to your advantage. For example "Look, Slyvia has eaten all her vegetable, let's see if you can" or "Try and get to bed before Slyvia". Having their imaginary friend complete such tasks encourages your child to also complete them. Imaginary friends usually only last during a child’s early years, and they disappear as they get older. If your child does have an imaginary friends, make sure that they still make actual friends. Try and not dissuade the existence of their imaginary playmate, being kids that will only make them want their friend more. If you feel that your child is displaying destructive behavior because of their friend, then there is a more serious problem at hand and it would probably be advisable to talk it through with a child psychologist. My children’s imaginary friends only lasted a week and now I can safely sit on the couch without fear of squishing someone, I wish I had an imaginary friend though, one who did household chores. Happy parenting!